Vivo V15 with Pop-Up Selfie Cam and Triple Rear Camera Module, Arriving Soon? As I look at the leaked photos of the upcoming Vivo V15 2019 Hero Android smartphone, I can't help but feel that Vivo is poised to kick off this year with a big market winner. 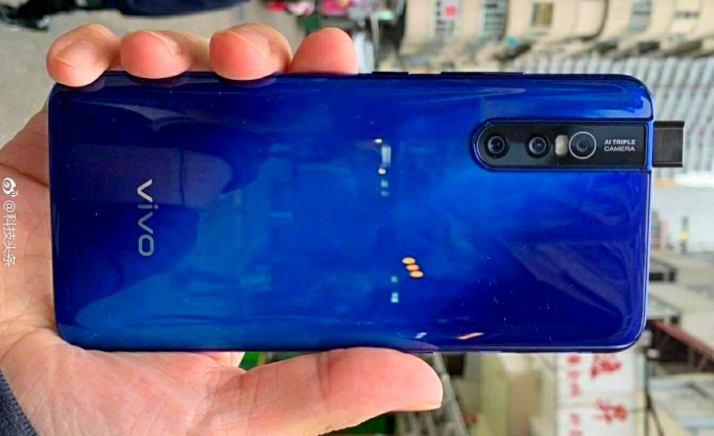 According to many "insiders" and as shown in the image below, Vivo V15 will have a pop-up front facing camera for selfies, which suggest that the handset could very well have an all-screen face similar to the OPPO Find X. What's interesting, though, is that the OPPO Find X sits in the ultra-flagship category while the Vivo V-Series is a midrange line. Does this mean that mid-level consumers will finally enjoy the benefits of a totally notch-free and bezel-less Android smartphone screen starting this year? I guess we'll just have to wait for the release of the Vivo V15 in our country to find out. 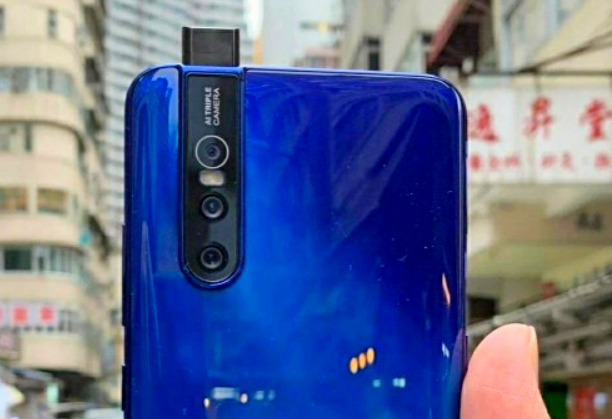 Another cool feature that was shown in these purported photos of the Vivo V15 is its Triple Rear Camera module -- an imaging set-up that was popularized by Huawei and Samsung in 2018 via Huawei P20 Pro and Samsung Galaxy A7. At this point, Vivo has remained mum about the potential capabilities of the shooters. However, there are talks that this module will have a 48 MegaPixel primary camera that's complemented by a Depth Sensor and a Wide-Angle snapper. 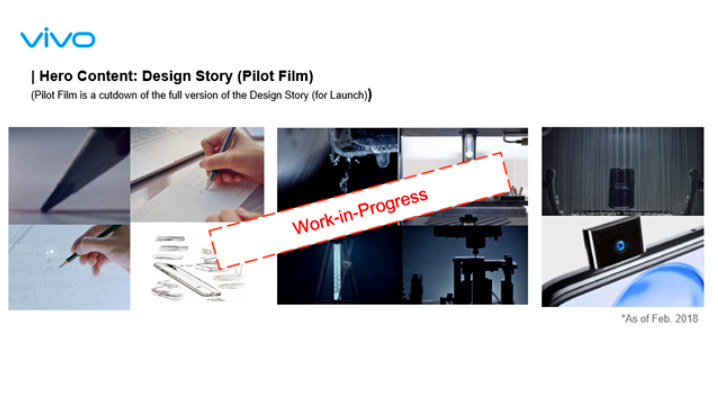 Last Friday, I received a curious email from the new PR agency of Vivo Mobile Philippines, which gives a hint about the imminent release of a new powerhouse Vivo Android smartphone real soon. To quote the email, "The consistently remarkable releases just gets everyone all the more excited for what Vivo will pull out its sleeves next. An unofficial image circulating the web (shown above), of what might be the speculated V15 or the latest in the NEX series, shows that it might bring in a groundbreaking pop-up front camera." They added, "The image suggests that this model that will truly highlight what it’s like to have a notch-less display has been in the works since early 2018. Meaning, the innovative OEM brand has been brainstorming how to create the smartphone with a full-screen display for a while now. And that this development might be the game-changer in the smartphone industry that we’ll get to see in the near future, if not soon enough." To wrap up, they noted that aside from the intriguing front elevating camera, rumors are that it will also jump into the triple-lens trend. Based on the image study, could we be looking also into a waterproof smartphone? While nothing’s certain at this point, what’s certain is that Vivo is keeping up the ante, and is definitely releasing something exciting this February. That's certainly a lot to look forward to. I personally can't wait to get my hands on the Vivo V15, as I think it will be an incredible cameraphone whether you just enjoy taking selfies or you're now starting to be a mobile imaging enthusiast. Other rumored technical specifications of the Vivo V15 include a 6.4-inch Full HD+ SuperAMOLED screen, In-Display Fingerprint Scanner, Powerful and Enery-Efficient 12nm Octa Core MediaTek Helio P90 processor, 6GB of RAM, 128GB of expandable storage, and a 3,700 mAh battery pack.